Redex - I Say Ding Dong Shop - Buy Stickers, Decals & Unique Automobilia. 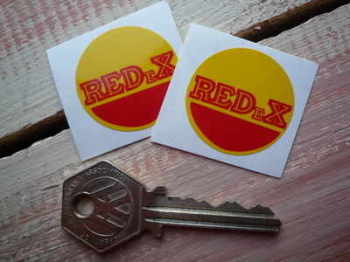 RedEx Circular Stickers. 1.25" Pair. 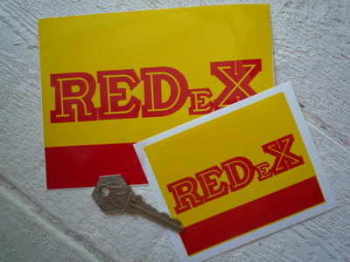 REDeX Red &Yellow Oblong Stickers. 4" or 6" Pair. 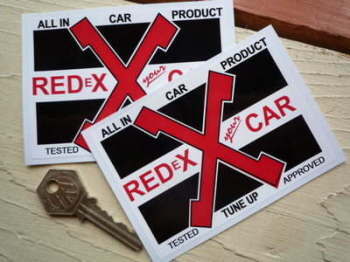 RedEx Your Car X Stickers. 4" Pair.